Indeed fairy tales has its own share of struggles and it seems like Real Kashmir is soon to live their own fairy tale. Recently, the team belonging from the burning heavens on Earth defeated Gokulam Kerala FC and hence acquired the top position on the points table on Wednesday. TRC Ground was all set to witness the battle of the will and power as both the teams weren’t ready to yield despite the chilling weather mixed with snow and rain. At one point Gokulam was affected by the challenging weather but the Snow Leopards took the snow to warm up and rains to lubricate the game. After a much hustle, Ivorian striker Gnohere Krizo scored an important goal in the 51st minute and garnered full three points for Real Kashmir FC. Krizo would have taken the lead in the first half but keep on losing the prime opportunities. Gokulam was even fierce in the given opportunities but it was goalkeeper Bilal Khan in his top form waiting to obstruct every single opportunity. Real Kashmir FC coach Robertson believed that team has an aura this season that has led to some good results. Later he mentioned that it was the team’s stern defence line that helped to concede only 8 goals from 16 games so far. “The boys showed some real character under the difficult conditions and I am really happy with the results. Topping the table is a great motivation for us, but we have to focus on the coming matches,” Robertson said. Indeed every team playing in I-league has a story that starts from scratch but none has a backdrop of a place that has its history of bloodlines. 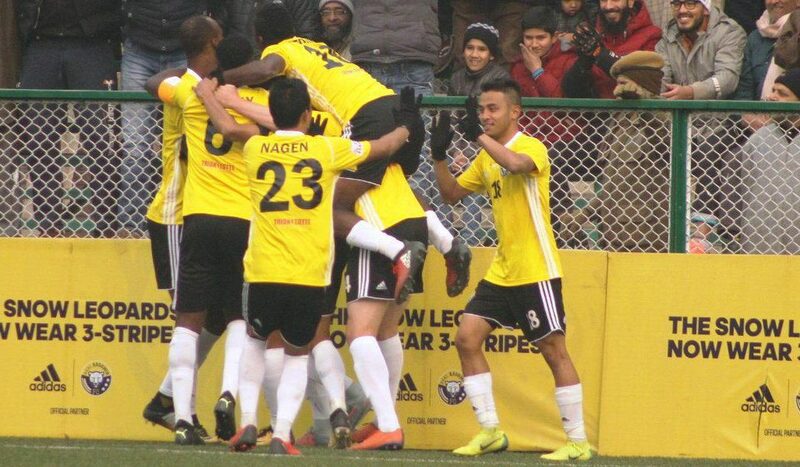 Real Kashmir FC is indeed special but it’s their talent that has given Kashmir an image of the hub of football and talent house and displayed the ‘Real’ Kashmir. Real Kashmir will face East Bengal next at their home before they face their arch rival Chennai City.